Red white aesthetics. Gingival recessions. Invisalign is a new age technology for fast and efficient moving of teeth in case of gaps between teeth, crooked teeth, crowding. 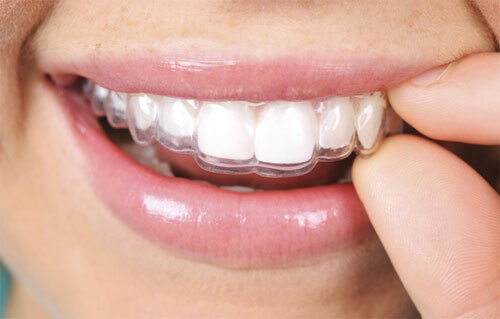 Unlike the traditional metal track braces, Invisalign is a set of clear plastic aligners, designed to fit your teeth precisely and to gradually move your teeth in a straight position. It is a system that does three-dimensional modeling for the fabrication of a series of clear aligners, called "clear braces". They are extremely thin – less than a millimeter – and removable, making them very discrete to wear. 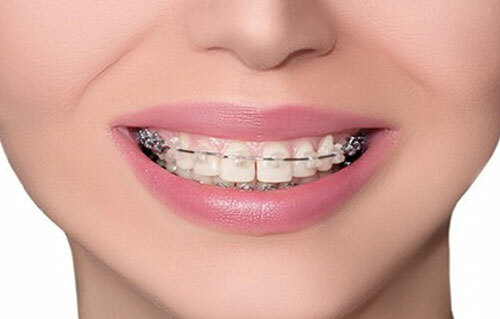 Orthodontics is a section of the dentistry which deals with malocclusions such as missing teeth, overbites, underbites, crowding, crossbites, etc., and improves the smile and the natural growth of the teeth. The bad bite, or the misalignment of the teeth or the jaw, is not only unaesthetic but it also leads to functional problems in terms of difficult chewing or talking and increased risk of tooth decay, etc. It is either genetical or occurred as a result of trauma, continuous sucking of the thumb or the pacifier, tongue-thrusting while swallowing or premature loss of baby teeth and etc. Teeth whitening is a non-invasive, quick and risk-free dental procedure, building on a bright, appealing and young looking smile. 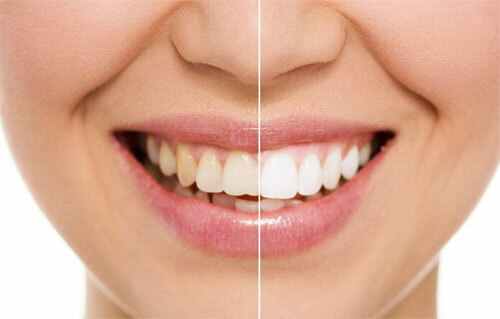 Various factors can influence the change of the teeth color. A diet, the intake of too much coffee and / or red wine, smoking can all lead to teeth discoloring and staining. 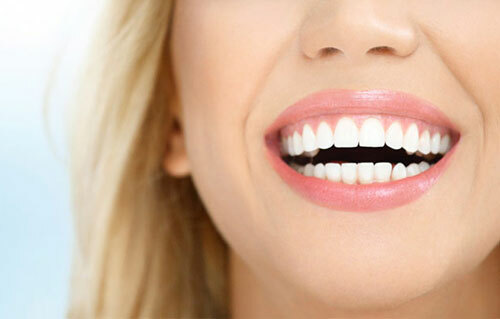 On the other hand, people's teeth vary in color – they are not all perfectly white. 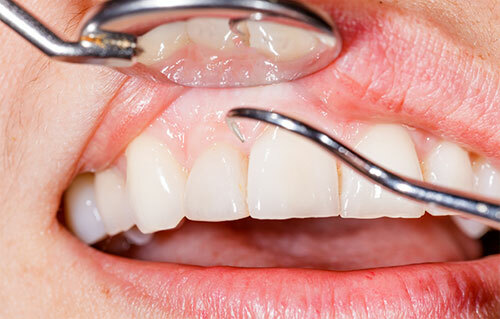 What happens when some of your front teeth are damaged – decayed, cracked, worn, etc.? 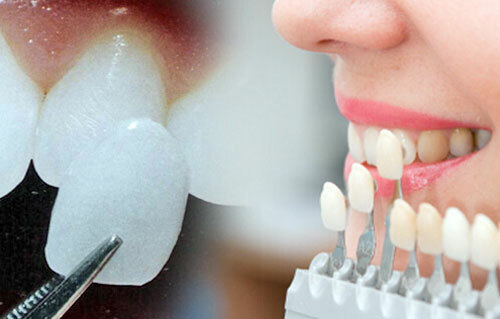 Depending on the scale of the tooth deterioration there are several treatment techniques developed for recovering the health and the aesthetic look of the front teeth. If it is a matter of bigger or multiple damages your tooth might need to be restored with a porcelain veneer or a crown. Crowns are usually used in cases of chipped-off or weakened teeth due to a decomposed or overly large filling. 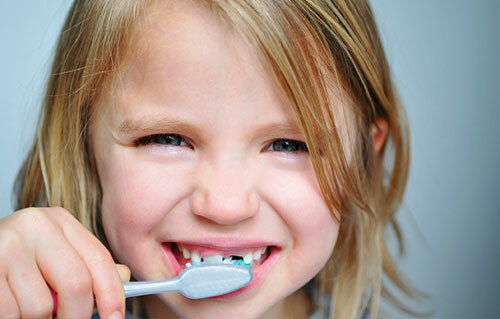 Oral hygiene is extremely important to your dental health and is usually referred to as taking care of your mouth through proper brushing and flossing habits. Good oral hygiene contributes to both health and cleanliness of your teeth and gums, whereas poor oral hygiene may lead to a series of problems and diseases. Your front tooth is slightly chipped or crooked, has different color (badly stained teeth) or is unevenly spaced (there are gaps, diastimas). At the same time you cannot put up with this, because you insist on having a beautiful and healthy smile? 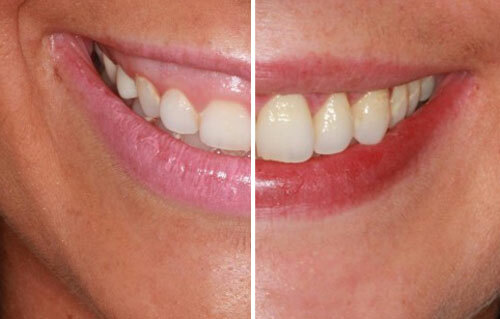 In this case porcelain veneers (laminates) are the solution for you. They are wafer-thin lamintates or shells of tooth-coloured material (either porcelain, ceramic or composite bonding material), which are "cemented" to the front surface of teeth to improve their cosmetic appearance. cosmetic gum contouring against a "gummy smile"
Part of the cosmetic dentistry is the smile lift procedure. 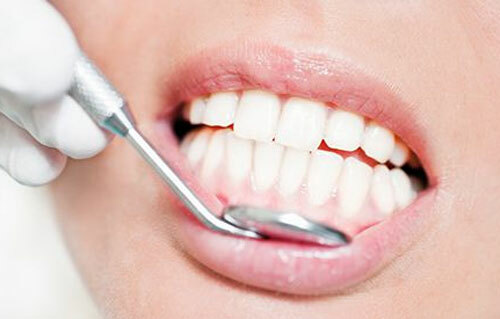 It is a cosmetic form of dental treatment used to improve the general appearance of а person's teeth. Why smile lift? In case of a "gummy smile'. The reason behind it is the gums covering a too big part of the teeth, making them look too short. This can affect negatively an individual's self-confidence. Often people with "gummy smile" avoid smiling. If several reasons makes you unhappy with your smile! If you don't feel confident smiling at the camera! If you think that your smile should bring you prosperity in a business and a personal aspect! Then you are most probably looking for a smile makeover. A smile makeover is not every time one and the same thing. It involves different interventions depending on the desired results – white or pearly porcelain veneers effect, just a simple improvement, requiring replacement of the amalgam with composite fillings and teeth whitening, etc. Perhaps the further you could go when dreaming about your perfect smile is to have white fillings on your tooth. We open another door for you by offering invisible fillings. Invisible fillings simply look natural. 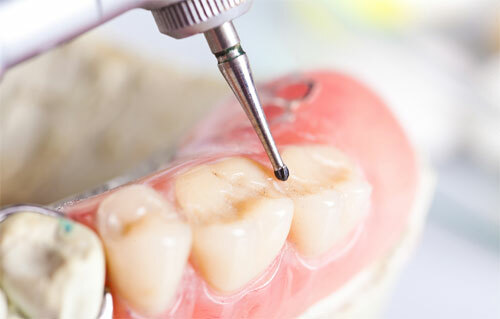 If dissatisfied with your dark silver or unnatural white fillings, do not hesitate to ask for replacing them with bonded composite resins to obtain complete cosmetic improvement. These days dental implants are often the preferred solution for replacing missing teeth. They have proved to provide long-term effects, to slow down the bone loss and to preserve the nearby healthy tissue. 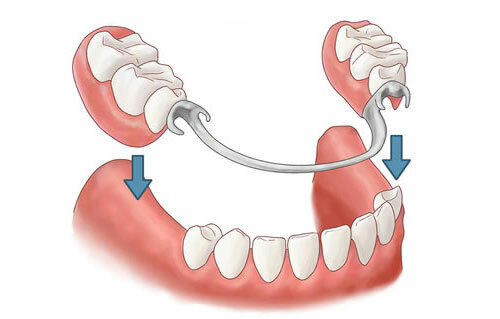 No matter what caused the teeth loss, they need to be replaced to recover their functions and aesthetic look. 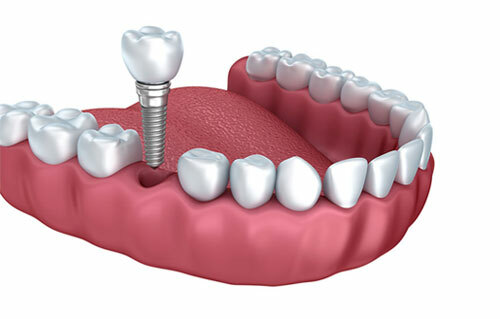 THE DENTAL IMPLANT IS actually the root of the new tooth. It is usually made of titanium and is fused to the bone (osseointegration) so as it forms a strong and durable foundation for tooth replacement. 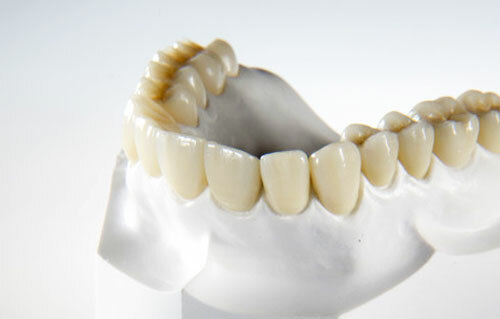 Dentures are used to replace missing teeth. The gap can affect your self-confidence, your ability to chew food and your bite. Moreover, as teeth support cheeks, teeth loss causes them to sag, giving you an older look. Many factors can lead to losing a tooth – a periodontal disease, decay, a trauma, etc. For many years now this has been treated using dentures. Today's dentistry offers alternative methods such as dental implants and fixed bridges. How we help patients overcome fear and pain Modern dentistry today suggests various techniques and methods, which help patients to overcome their anxieties, related to the dentist's visit and can even make it a comfortable and enjoyable experience. We understand the fear of pain (the so called dental phobia) and we take measures to help you overcome it. 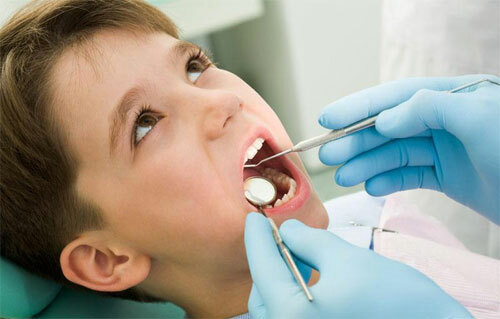 We may prove that visiting your dentist is a pleasant and painless experience. 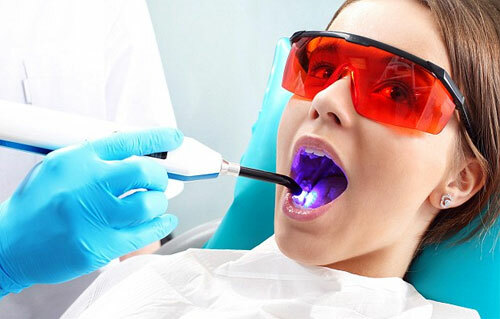 Sedation dentistry can enable patients to fight their fears. 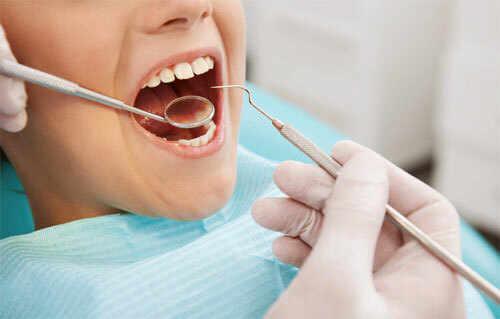 The precise diagnosis is a crucial part of the dental treatment. 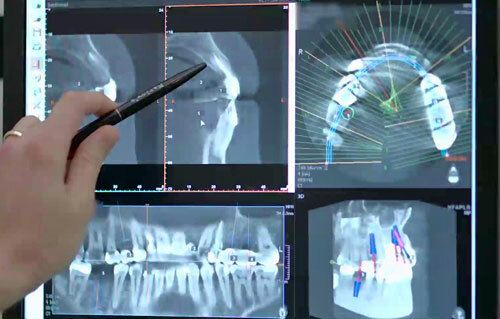 Via the digital x-ray technology or in some cases the CT, we examine your overall dental health – teeth, gums, tissues, jaw joint, bone quality. 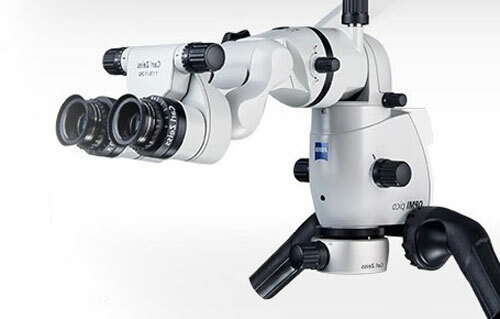 These are the least harmful and highly efficient methods, allowing for immediate shooting of an image, which is seen on integrated LCD screen at the time it is taken. Perhaps you are wondering what specialist can help you dealing with some facial cosmetic changes. 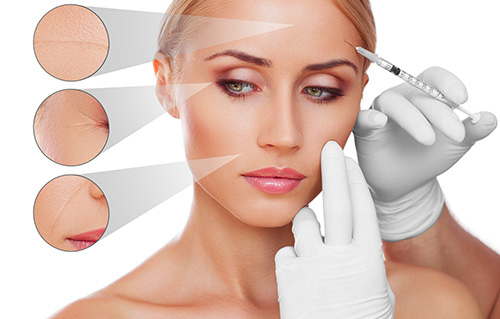 We do procedures for facial renewal, using dermafillers and botox. 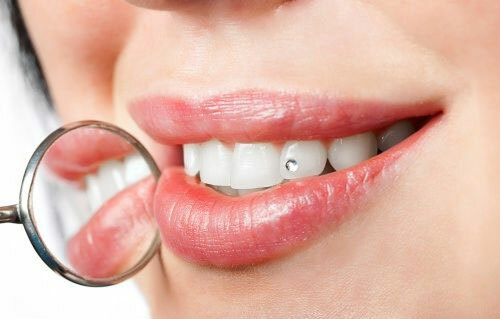 In MP DENT we place original tooth jewelry (semi-precious stones). Their placement and removal is completely painless and safe. Esthetical inlays have an incredibly beautiful effect. The open sinus lift (lateral access), is when the lower part and the membrane of the maxillary sinus. 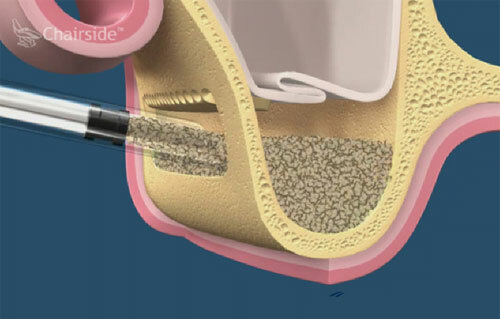 This is a common procedure when placing implants due to insufficient bone volume. 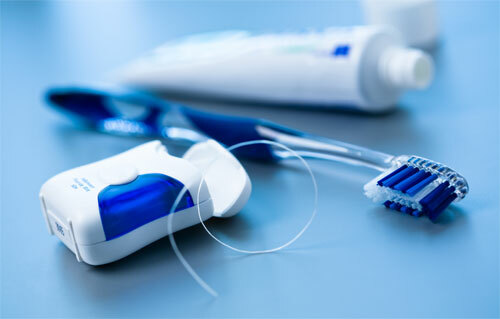 The red white aesthetics is a key stage of process of obtaining beautiful smile. As a whole the term red white aesthetics is connected with the color, the form and the level of the gums around the neck of the teeth. The appearance of the gum as important as the one of the teeth themselves as they are interconnected. Orofacial myofunctional therapy (OMT) is an interdisciplinary practice which influences directly the muscles of the tongue, lips, cheeks and face and respectively their functions such as breathing, sucking, chewing, swallowing and speaking production. It is aimed at the prevention, diagnosis and therapy of people with malfunctions in the orofacial area. Growth factors for rapid healing. PRP, CGF and bone grafting. 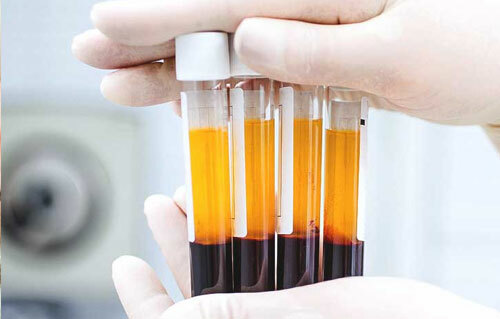 The plasma therapy PRP (Platelet Rich Plasma) is a revolutionary alternative method in medicine, which stimulates the healing of hard and soft tissues and reliefs pain considerably. The method is based on the role that the thrombocytes play in the recovering process of damaged parts of the body. The pain in the head, the neck, the ears and the jaws are just some of the symptoms of TMC dysfunction. 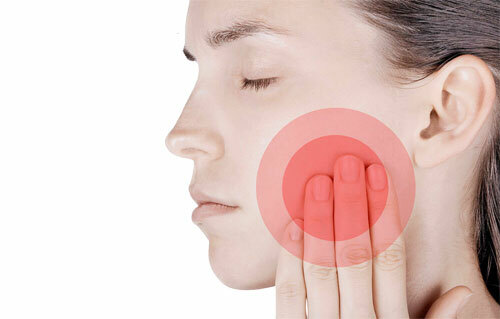 If the jaws, the teeth, and the joints do not function properly, various symptoms may occur. MP Dent is a modernly equipped clinic where dental surgery is performed by specialists with proven long-standing experience. Interventions are done under local or general anesthesia so as our patients feel maximum comfort and minimum pain. We practice motivation and fighting fear of dentists, if any. Our little patients find a lot of patience and attention This is how our team copes with the old-fashioned concepts for negative emotions linked with the dentist. The child teeth treatment is done by playing, where children perceive us as friends and receive gifts for their cooperativity. 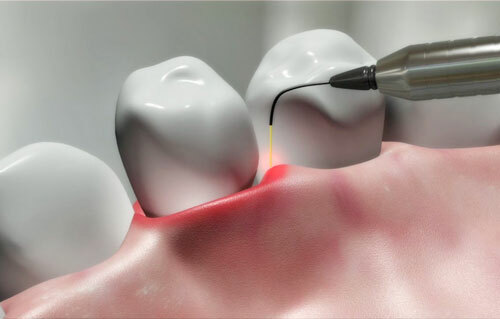 The most common causes for periodontal diseases are the infectious agents - microorganisms in the dental plaque causing local immune reaction - inflammation. 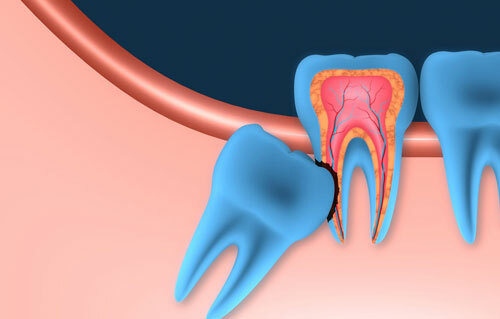 However, the etiopathogenesis of periodontal diseases is quite complex.